When the sale of Bjan made news last month, industry insiders knew it was a record breaker, but not the extent of it, nor the buyer. 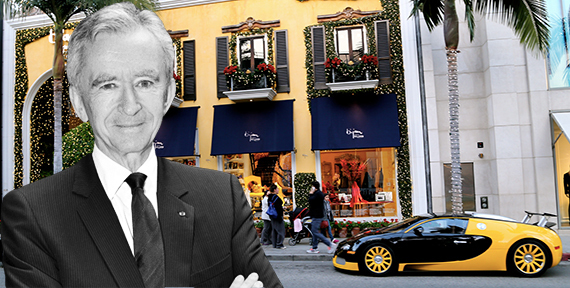 The iconic yellow Rodeo Drive store sold for $122 million to the parent company of Louis Vuitton, LVMH Moet Hennessy Louis Vuitton, according to CoStar. That’s a whopping $19,405 per square foot for the 6,287-square-foot store, significantly pricier than Chanel’s storefront down the road, which the fashion house bought for $13,217 per square foot last year. The seller, according to CoStar, was the Brooks Caddell Barton Trust and Dominium Management. They were represented by HFF’s Bryan Ley, Marc Schillinger, and Bill Fishel.